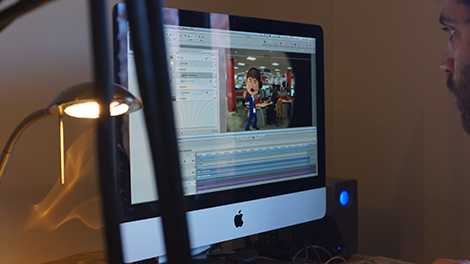 Production of an internal magazine show, including creation of an animated character, for their annual reward programme. AXA-PPP Healthcare is a UK private medical insurance provider based in Kent. We were briefed to reinvigorate their annual Customer Service staff awards. Consulting with the Internal Communications team we pitched a creative treatment that combined a 3D animated character with live video, presented in a ‘magazine show’ format. Our team worked with the client to determine the character’s look and tone of voice through a process of concept development, resulting in the creation of ‘Oscar’. He was then modelled and composited into filmed scenes around the Contact Centres and a virtual environment to announce the finalists and winners. The overall magazine show featured short videos about various areas of the business and the philosophy behind the awards, as well as fundraising events throughout the past year. 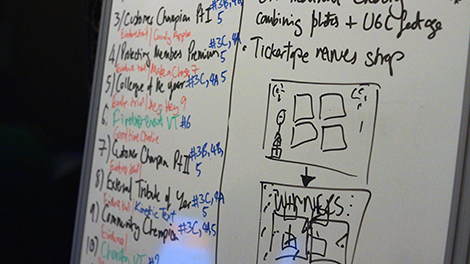 It was great working with the Digitom team; they made the whole process so easy. They were always professional, pragmatic and friendly, helping us realise our ideas in the best way possible. Most importantly, they delivered a first class product exactly when they said they would. They come highly recommended!